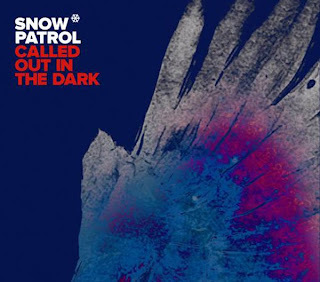 In my book, Snow Patrol are strong nominees for the dullest band in the world. Take Chasing Cars - a song that comprises two notes. That's not musical economy, that's sheer lack of creativity. With their new material, Snow Patrol are experimenting with a new sound. The result has a smattering of electronica, sounding more like an album track than their previous singles. But the new sound fails to ignite a spark of interest. Instead, Called Out In The Dark plods along as repetitively as ever. The verse melody especially has no shape, no variation. Coupled with Lightbody's droll and emotionless vocal, the song just doesn't go anywhere but is on one stubbornly unmoving level. Where's the fire? Where's the passion?